In January, 1995, I stepped into a small martial arts class at the Madison Rec Center. Sixteen years old and armed with my first real paycheck, I had no idea how much Sensei Kevin Swanner was about to change my life. Over the next twelve years I followed Sensei Swanner and Spirit Made Steel Karate through five moves and multiple knee injuries for both myself and Sensei Swanner! Eventually I became an instructor myself as his program grew. In 2007, my wife Morgon and I moved to Georgia where I first began teaching on my own. After I moved back home and finished my master’s degree, I continued that by opening Madison Martial Arts Academy. Today life has come full circle and again I’m “going home.” After running his own dojo for thirty years, Sensei Swanner is retiring from most day-to-day teaching responsibilities. As he continues the next leg on his journey through the martial arts, he has asked me to step in and help his program continue. In the coming weeks, Madison Martial Arts Academy and Spirit Made Steel Karate will merge into one program and one location. We will be occupying the current Spirit Made Steel location at 1604 Slaughter Rd, Madison, AL 35758. The new, combined school will allow us to provide a better program to our students in every way. We will have better and larger facilities, more equipment, additional instructors and new friends to train with. Classes will move to the new location beginning on Monday, August 1st. In addition to the move, there will be some schedule changes. Please see the new schedule below. Thank you all for joining us on this great adventure! Cross posted to the Madison Martial Arts Academy blog. 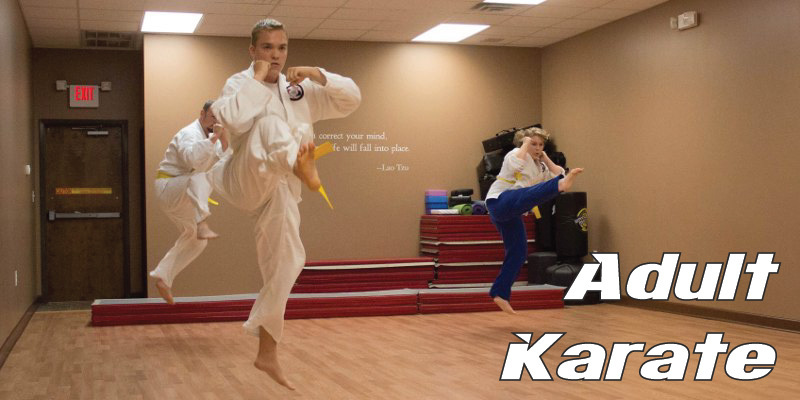 Check out our summer special on youth karate classes. 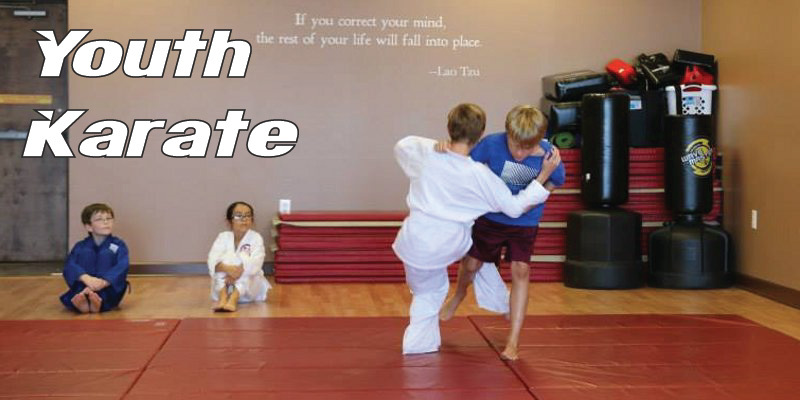 At Madison Martial Arts Academy, we’re offering a summer special on our Youth Karate class that includes three months of classes, a uniform, and your child’s first belt promotion. It’s a pretty good deal, if I do say so myself. If you’re interested in training alongside your kids, we’ve got an even better summer special for you. Enroll yourself in our Adult Karate and Jujitsu program and your child can train free! This offer is limited to one child per adult. Both offers are good through July 31st. Inside our dojo there’s a very easy example. We practice a full range martial art that combines the grappling and throws of jujitsu with the kicks, punches and other strikes of kickboxing and karate. With the explosive growth and popularity of MMA, this is a lot more common than it used to be. Even so, the majority of martial artists still heavily emphasize one portion of this curriculum, ground work, takedowns or upright striking, over the rest. It is usually quite easy to determine at the start of a fight which of these ranges your opponent wants to be in. If he’s a ground fighter, he will try to get you to the ground very quickly. If he’s an upright fighter, he will try to keep at an optimal range for his preferred strikes (kicks or punches). If he’s focused on takedowns, he will position accordingly. The key is to deny him his preferred zone. If he’s a ground fighter, force him to stay upright. If he’s an upright fighter, take him to the ground. If he’s focused on takedowns, keep him at bay with your strikes or take him to the ground with you. In any case, don’t play by his rules. 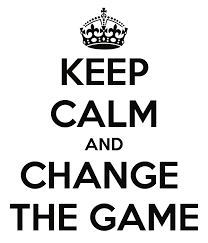 Change the game. The example here is easy and clear. Most of life isn’t. Yet you see this happen outside the martial arts all the time. It happens in sports, when a team develops a new kind of offense or defense. It happens in war, when one side develops groundbreaking new technology and/or tactics. It happens in business, when one company develops an entirely new business model. GPS changed the game for American soldiers in the early 1990s. Saddam Hussein believed his army safe because no army had ever crossed the open Iraqi desert – ever. Navigation is tricky when you’re surrounded by nothing but sand. Yet GPS allowed the US Army to cross it with ease, catching him completely off guard. Amazon changed the game for global retail. The ability to buy nearly anything from the convenience of your own home, coupled with timely delivery and affordable shipping revolutionized commerce. To be fair, if they hadn’t gotten there first, someone else would have done it. Yet they were the ones there, making it happen. Later they changed the game again, revolutionizing the book industry with e-books. I’m not generally a sports guy, so don’t look to me for the sports analogy here. But it exists, I promise. Often, people try to change the game and fizzle out. A great many web companies died in the crash of 2000 because they were unable to change the game the way they wished to. Sometimes the change comes slower than desired. A great many companies tried software subscription models a decade ago. The world wasn’t ready for it. Yet today, Adobe, Microsoft, and others are having great success with it. Donald Trump is trying to change the game in politics. Scott Adams likes to say that he brought a flame thrower to a knife fight. At the moment, every sign indicates that he’s been successful. But the real proof comes next week in Iowa. We will find out if Mr. Adams is correct, or if Mr. Trump brought a knife to a gunfight. If Trump succeeds, the game will change forever. Politicians from here forward will study his campaign and try to emulate it – just as every Presidential candidate now tries to emulate Jimmy Carter’s Iowa-then-New-Hampshire-momentum victory strategy. The next candidate to follow his lead will be less successful precisely because of Trump’s success; his opponents will also be following Trump’s lead. Iowa will be the most interesting test. Everybody assumes you need a killer “ground game” to get out the vote in Iowa and win. Trump thinks he can win it a different way, with a different campaign. He is either right or he is wrong. Looking at the recent poll numbers, however, I think he might well be correct. Given the commanding lead he carries in New Hampshire – a state with a primary rather than a caucus, and hence less dependent upon a get-out-the-vote operation – if he wins Iowa, it’s hard to see how he doesn’t go on to absolutely dominate New Hampshire. And given the way voters tend to latch on to the winner, it’s hard to see how he doesn’t run the table and win every single state in the primary. As of today’s polls – and more importantly, the direction that they’re changing in – I strongly believe that Trump will win Iowa. And I think he will continue on to run the table. I also think that come November he will beat Bernie Sanders like a drum, carrying 40+ states in the biggest landslide since Reagan v. Dukakis in 1984. Tomorrow: why I think Hillary will lose the Democratic nomination. Last Saturday we hosted our third annual Extra Life event at Madison Martial Arts. Extra Life is a charity group that brings gamers together for a 24-hour gaming marathon once a year. Similar to walk-a-thons and the like, players get friends and family to sponsor them for their play time. The money raised goes to Children’s Miracle Network Hospitals to help provide life saving treatment for terminally ill children. When we opened Madison Martial Arts, we took the event and put our own little twist on it. We figured that instead of just making a team of our friends, we’d invite everybody. So we set up an event at our dojo and hosted it there. Our first event, in 2013, was pretty small. OK, I’ll be honest. It was basically just us and our friends. We had about six gamers through the day, and all of us gave up well before the 24-hour mark and went to bed. But… we raised almost $600 total that year, and we had a ton of fun. I also had my car broken into the next day, and about $2000 worth of (mostly borrowed) equipment was stolen. I’ve long since gotten over it, but somebody’s going to hell for stealing from folks who were helping sick kids. It’s a fact. But we didn’t let it stop us. In 2014, we had a huge jump in growth. Instead of just us and our friends it became us, our friends, and our students. Throughout the day we had 34 people show up and join us for various lengths of time. And we had our first “all-nighters.” Three of us stayed through the night for full 25 hours (2014’s event happened on time-change weekend, so it ran a bit long). And we nearly doubled our fundraising from 2013, pulling in just shy of $1100. This year was a bit disorganized. I moved about a month and a half ago. So right when I should have been in peak “getting out the word” mode, I was far too busy to have anything to do with it. Frankly, I’m almost glad it worked out that way. If we’d had any more people this year we’d have burst at the seams. 2015 was our biggest and best year yet. We had at least 52 people come in throughout the day. I think the total was higher, because I’m pretty sure that we had a few people who never hit the sign-in sheet. Up until about 11:30 or so on Saturday evening, the entire facility was pretty full. We’d have been hard pressed to fit more people inside. We had nine of us stay the whole 24-hours this year – more people than even came to our first event. And we’ve raised about $1300 so far. The total is still slowly rising as last minute donations come in – if you’d like to add your own, you can hit our online donation page. We had a classic gaming station with an Atari 2600 this year. We got Minecraft, Diablo, Call of Duty and Left 4 Dead up on the 10 foot projector screen. We had a D&D 5th edition session running. We had about a dozen card games. We continued our tradition of late night Risk. I watched a group playing Uno, and another playing Monopoly. We’re already making plans to make next year bigger and better. Stay tuned – and think about coming out to join us!